Shayne Jackson had a five goal, six point effort in Saturday’s loss to the Buffalo Bandits. This set a personal best for Jackson, but with the loss, the Swarm are officially eliminated from playoff contention for the second year in a row. 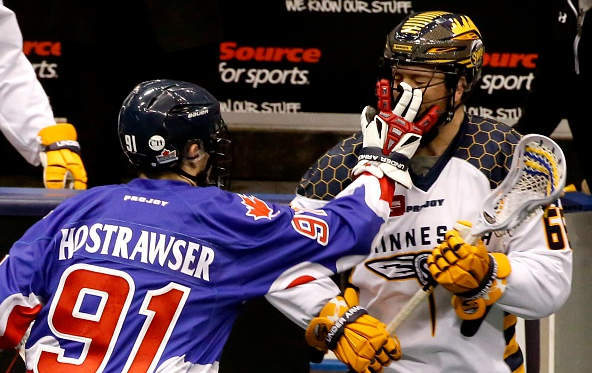 To make Saturday even more costly for the Swarm, they lost Callum Crawford to an upper body injury and Jordan Macintosh to a rolled ankle during the contest. Before leaving the game, Crawford did tally three helpers. In Macintosh’s absence, Corbyn Tao took the faceoffs. Ryan Benesch and Dhane Smith shone for the Bandits with seven point nights each. Benescg had four goals with three assists while Smith had two goals and five assists while former Swarm player Jay Thorimber also put up two goals. Anthony Cosmo took the win from Zach Higgins. The Bandits are close to clinching a playoff spot as well if they can hold on to win the third seed over the New England Black Wolves, who also lost this weekend. Buffalo has a late season bye next week while Minnesota takes on the Calgary Roughnecks at the Xcel Energy Center.